Civilan called police to report my client drving all over road. When cop stopped her, he noted in report slurred speech, glassy, bloodshot eyes and a strong odor of alcohol. He testifed she failed the field sobriety tests. Once hired, I immediately submitted a motion to preserve all videos. I showed the dashcam video at trial proving she had no difficulty maintaining her lane, pulled over promplty and safely, prduced all documents quickly, and had no difficulty getting out of car or walklng. Plus, at the officer's urging she did the balancing tests barefoot in the gutter. Not guilty. Client was seen speeding almost twice the limit. Cop put on his blues and siren but he did not stop. He pulled into a parking space in a crooked manner, had red, glassy, bloodshot eyes, an odor of alcohol, slurred speech and had to lean against the car to reach into the glove compartment. I obtained his medical records showing he had a chronic disease which woud explain many of these observations and had it admitted into evidence at trial. Client crossed the centerline and cop car had to swerve to avoid collision. Then he ran stop sign and almost hit the median barrier. At trial, cop said his speech was slurred and that he failed a couole of field tests. I pointed out to the judge he walked 9 steps out and 9 steps back without losing his balance and passed one of the tests with flying colors. Judge agreed. Not guilty. Joe stuck with my case for the 18 months it took to reach trial and explained everything to me completely at every point. He did a thorough analysis in all of his many reports. He did not let the cop get away with any exaggeration on the witness stand and gave him no wiggle room. He kept hammering away at everything I did right. Great job representing me. Client crashed into back of truck, totaled his car, went to hospital. admitted to drinking and his blood was drawn. I successfully kept the over the limit blood alcohol level out of evidence at trial where I argued that although the trooper obtained the contact info of the truck driver, the DA did not summons him so there was absolutely zero evidence on how the accident happened. The judge agreed. Two officers testified client was seen speeding on a curving road, had a strong odor of alcohol, slurred speech, and stopped reciting the alphabet at Q instead of going to Z. I argued he committed no lanes violations, pulled over promptly when the officer's blue lights went on, was cooperative at all times and it was well past 1 AM when no one is at their mental or physical best. Not guilty. Client was stopped for speeding, failed the field tests and blew twice the legal limit. I stressed that he committed no lanes violations, promptly signaled when cop's blue lights went on, pulled over safely into safe area, no difficulty finding wallet and extracting license or finding registration in glove box, no difficulty exiting car or walking to rear. Jury acquitted him in 10 minutes. Joe managed to convince the DA to drop both of those charges and I avoided any jail time. Client drove completely across the road and struck a fire hydrant. Sergeant testified she was unsteady on her feet, admitted to "a few glasses of wine," had a strong odor of alcohol and in his opinion was "intoxicated." I stressed there was no slurred speech, no red, glassy or bloodshot eyes and that anyone would be unsteady after an accident. I also obtained the EMT records which did not even mention an odor of alcohol. Point: reasonable doubt. I crossed over the centerline and cop stopped me. I admitted to drinking and smoking marijuana and they found a pipe and pot in the center console. Two cops testified I failed all the field tests. Joe made sure to preserve the body cam footage. It showed both cops were wearing heavy winter clothing, hats and gloves and I had on only a sweat shirt and no gloves in freezing weather. Plus it showed i didn't do as bad on the tests as they said. Joe was very patient with our questions and answered them all. Client was stopped for speeding. Officer noted a strong odor of alcohol and glassy and bloodshot eyes. He admitted to just coming from a bar and drinking beers. Officer said he became unbalanced on one of the field tests and was arrested. He then failed the breath test at the station and lost his license.. At trial not just one but two officers testified in their opinion he was under the influence of alcohol. Not guilty of 2nd offense OUI. kept his foot up and counted correctly for the full test. Not guilty. 3 year refusal suspension ordered lifted and license restored. Client was seen swerving in his lane for two miles, had slurred speech and bloodshot, glassy eyes. He admitted to drinking and had an open container of beer in the console clearly visible to the officer. He was unsteady on his feet getting out of the car and had to place his hand on the car to keep his balance. Plus, there was a strong odor of alcohol about hs person. The booking video showed him swaying at points and with slurred speech as well. Not guilty at bench trial. 'HE'S THE BEST OUT THERE. Client was found alseep at the wheel after stopping at a green light. He admitted to drinking, 3 officers testified he was intoxicated, his speech was slurred and that he failed all the field tests. 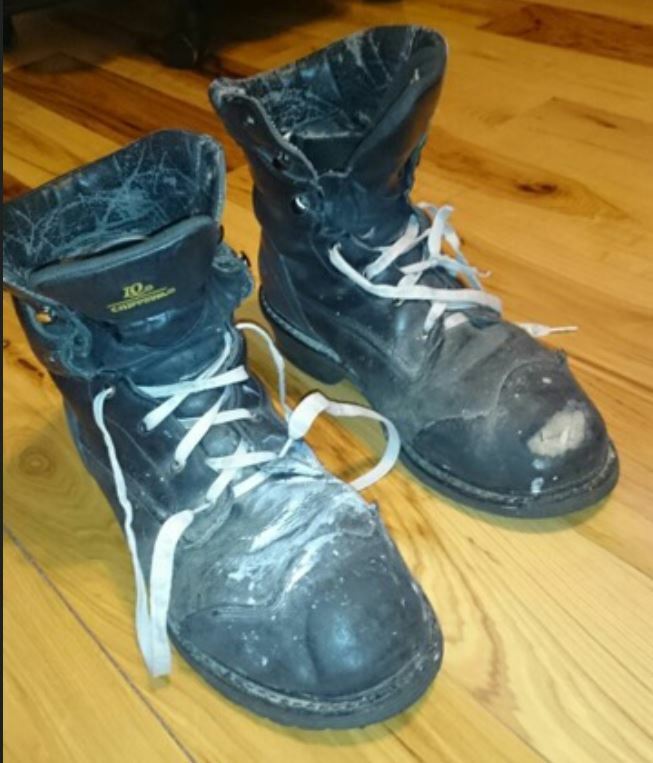 I brought the heavy work boots [click for photo] he wore that night to court and held them up high to show the officers, the judge and everyone else in the courtroom. None of the officers could remember whether he was wearing them until they were clearly seen on the booking video. I had previously filed the proper motions to make certain that video was saved and not deleted by the police. Not guilty. "I don’t know how Joe did it but at a motion to suppress evidence, he got my .22 breath test thrown out of court. That gave us a fighting chance at trial. During his cross exam, he made the cop admit to a long laundry list of everything I had done right, instead of what I did wrong." "I feel fortunate to have found Mr. Waldbaum on an internet search for a lawyer for my son. Over three years, Joe represented hm twice. Each time Joe's communication on what to expect and possible outcomes was excellent. He was prompt returning all phone calls and kept us fully apprised of all details by email and texts. In this case, he negotiated the outright dismissal of two serious criminal charges that would have had far-reaching consequences for my son." Client was seen by a civilian to drive "all over the road" and then accelerate head on into a telephone pole. At trial, the cop testified she showed a strong odor of alcohol, her speech was slurred and she had glassy, bloodshot eyes. I obtained the EMT and hospital records and showed the judge during trial there were no such notations on either set of records. In fact, the doctor noted "her speech was normal," no one noted an odor of alcohol or glassy, bloodshot eyes despite her eyes being examined three times with a flashlight shortly after the accident. CONFLICTING EVIDENCE PROVED REASONABLE DOUBT. My client was arrested for the second time and blew a .11 and failed the breathalyzer. I immediately faxed a motion to preserve all videos. Turns out the assisting officer made a roadside video showing him doing the field tests well. After getting the breath test excluded, I showed the I-phone video at trial and the judge found him not guilty. 'PROFESSIONAL PERFORMANCE FROM START TO FINISH. Client refused the breath test at the police station and was suspended by the RMV for three full years for doing so. The fight against this suspension must be begun within 15 calendar days after the arrest and we did so. Judge then reversed RMV decision and restored his license so he was be able to drive legally for one full year while the case moved toward trial. At trial, although the trooper testified he appeared "out of it" and moved as if "underwater," we stressed his ability to produce his license and registration with no difficulty and do well on at least some fo the field tests meant reasonable doubt. Judge agreed. See judge's order suppressing evidence. I totaled my car in a bad accident. Joe called me back immediately, answered all my questions and explained everything every step of the way with detailed, written reports. He recommended I not plead out but instead try the case. At trial, not just one but two officers testified they thought I was "under the influence of alcohol." Joe convinced the Judge otherwise and then convinced him to order my license restored immediately. He thought of everything and did everything. I can't recommend him highly enough. "JOE IS EXTREMELY IMPRESSIVE IN COURT"
Cop testified he saw me drive up onto a curb and cross marked lanes, was unsteady on my feet, swayed while walking, had a strong odor of alcohol, slurred speech and failed the one leg stand field sobriety test. At my Arraignment, Joe had a Motion allowed to preserve the videos of me at roadside and at booking which ended up refuting what the cop said. Then after getting a Not Guilty, he went the extra mile and interceded on my behalf with the RMV when they refused to reinstate my license despite the Court Order he had obtained immediately after Trial to force them to do so. I strongly recommend him to anybody. Call me! "QUICK RESPONSE. GENUINE INTEREST IN MY CASE. I COULD NOT HAVE BEEN IN BETTER HANDS." "Thank you so very much for your help, expertise and DUI support. The outcome was much better than I could ever have hoped for. After seeing both your in-depth investigation into my situation and then your high level of professionalism in the court room I was left knowing I could not be in better hands." I was charged with DUI and was facing a total of 8 charges including 3 felonies. I was told by another lawyer I was certain to end up with a ‘slew of guilty findings’ and lose my license for at least one and a half years. Somehow, Joe got half of the charges dismissed outright at the very first date and I was then eligible for a work license the same week.
" I HIRED THE RIGHT ATTORNEY"
I was arrested for my second offense and hired a local Attorney. He did nothing for four months and then told me I'd lost my license for three years and there was nothing that could be done about it. But after viewing Atty. Waldbaum's videos and website for two hours, I realized I'd hired the wrong man. When I switched to Joe, he pulled my driving record first thing and told me I had not in fact suffered any three year suspension but that my license was still active. He sent me long detailed reports on everything including how to deal with the Registry. I wished I'd hired him right off the bat.